It feels like we’ve got kid books (and toys) everywhere these days. 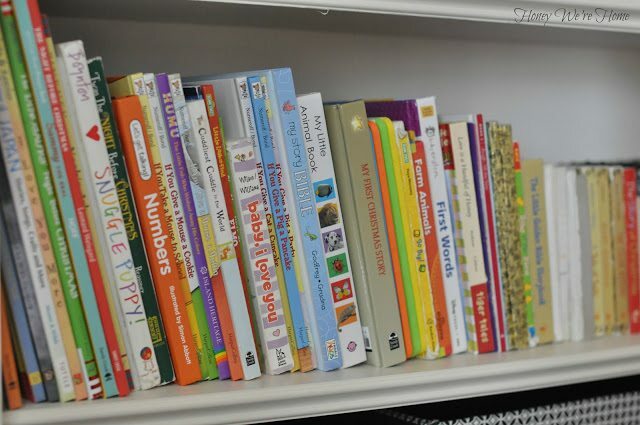 I want the books especially to be easily accessible so that we can quickly find a book at bedtime or whenever my son wants to read. We’ve previously kept the books in bins and baskets throughout the house, but the basket situation is getting out of control. I wanted to get the books (and baskets) off of the floor to create more room to play. I was considering buying a bookshelf for my son’s room, then thought, duh, just make room for his books on a shelf in our hallway. Why didn’t I think of this sooner? 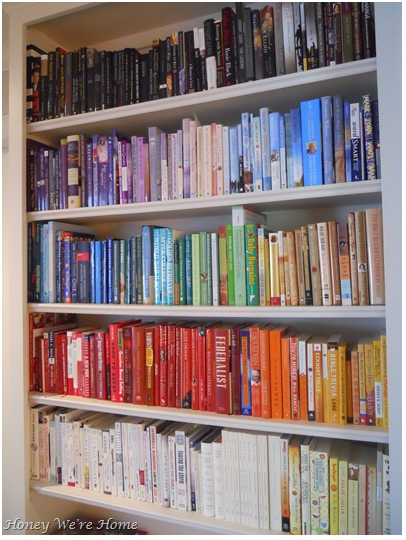 One of my early blog posts was about the “rainbow” bookshelf in our hallway. Since the bookshelf is right off of James’ room, it made perfect sense to clear a low shelf for his books. Now he knows where to find the books and where they belong when it’s time to put them away! And I’m so happy I didn’t have to buy a new bookshelf for his room. 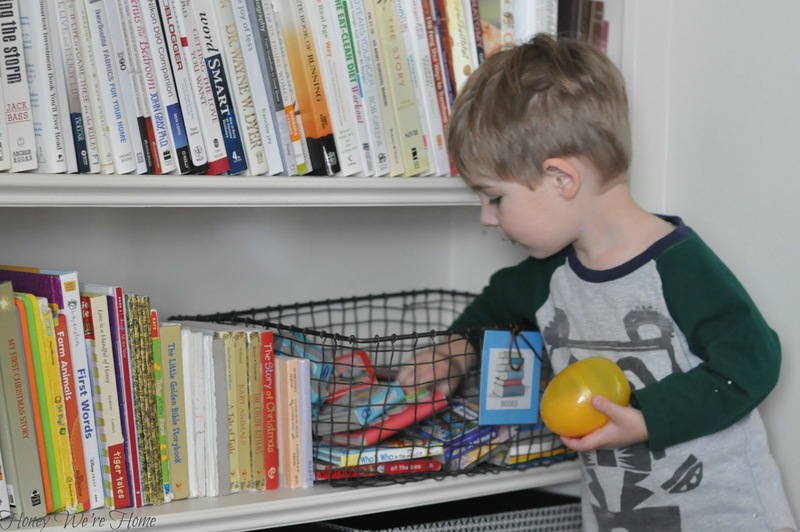 I used a wire basket to hold his little board books. I got the basket from See Jane Work and created the label with clip art and a laminating machine. 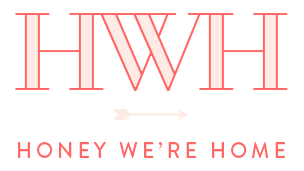 You can go HERE for the full tutorial. I like how the books are at just the right height for him to access easily. When I kept the books in the baskets, they inevitably got all jumbled up and it was hard to dig for a book at the bottom. Keeping them lined up on the shelf makes it much easier to find the book we’re looking for. I’m happy to find a solution that was FREE! Just took a little clearing and organizing. 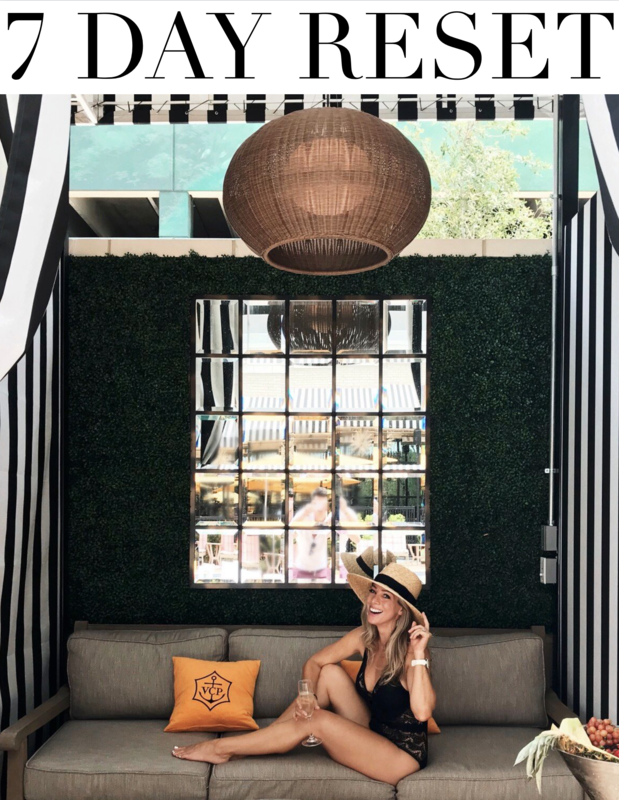 You always have such inspired ideas! 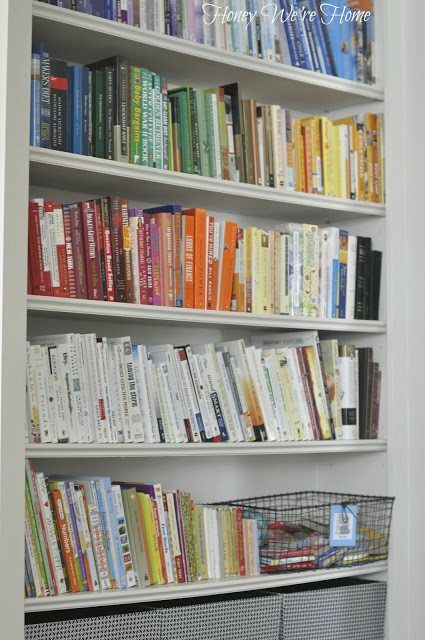 I've been trying to maneuver my bookshelf into color arrangements- yours is so perfect!! 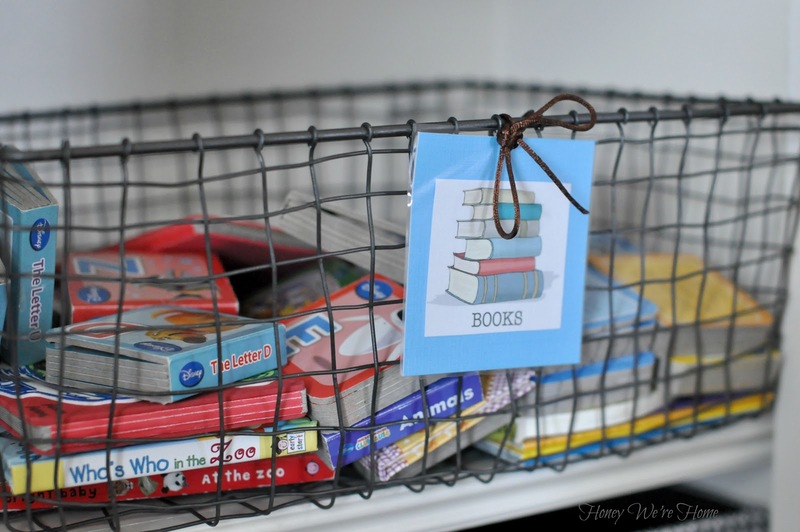 Love the idea of books in a basket…great for books/magazines that are being used often! 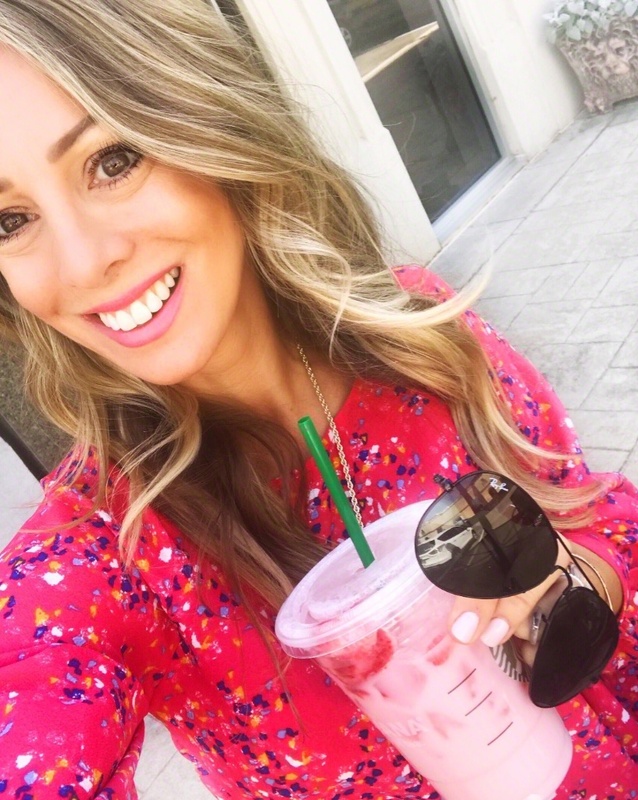 Great post, again! Love the rainbow bookcase and the little labeled baskets for little books! Don't you just feel better when kids stuff is organized?!? I love that basket! 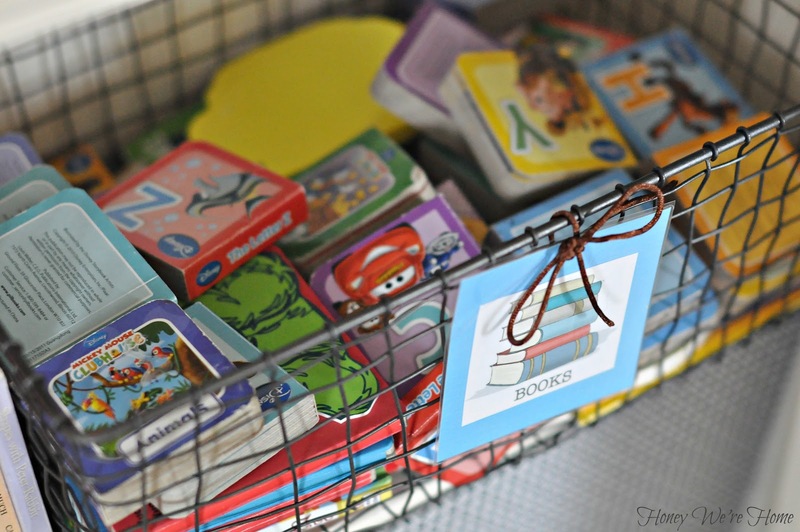 Those little books always drove me crazy because they'd get lost on the shelf…great idea to put them in a basket together! Such a great idea to have the basket there with the tiny ones. And his sweet little hand reaching in there is so darling. Savor this age!!! Great ideas! 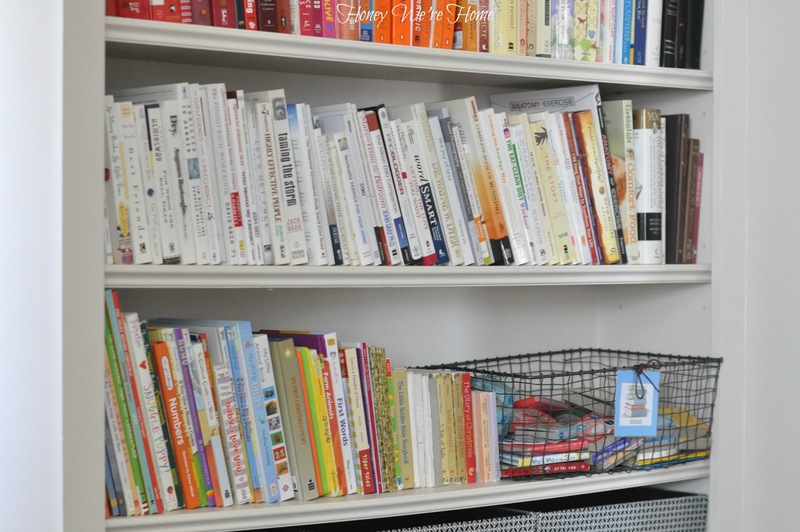 My kids have tons of books, and I am always looking for ways to organize them! 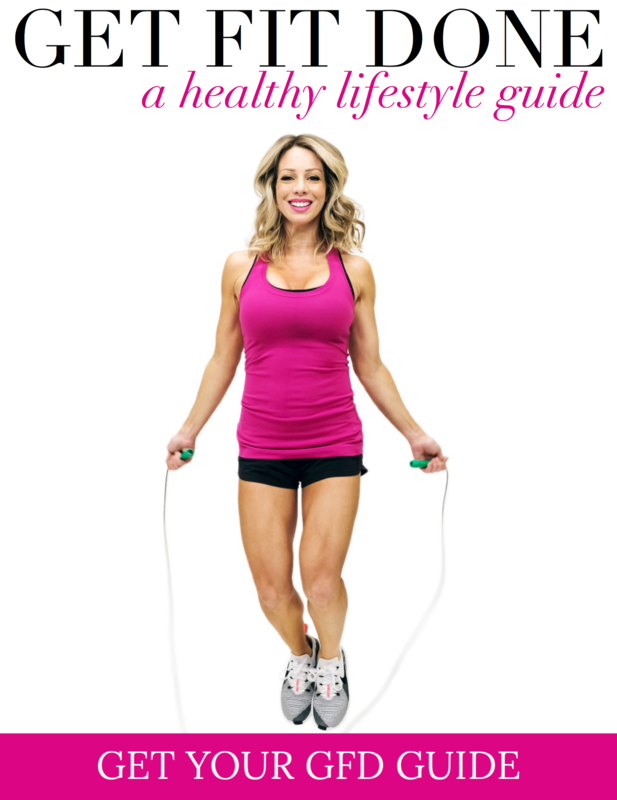 I love how you color coordinated the books. So lovely.